Only ten months after he provided us with an Introduction to Escape-ism, mythic rock ’n’ roll provocateur / theorist / revolutionary Ian Svenonius is back as Escape-ism with The Lost Record, a classic destined to bewitch the minds, hearts, and dancing shoes of any rock ’n’ roll fan who happens to discover it, for as long as such creatures exist. Without the high-octane hype machine of the mind-control minstrels who hypnotize the hapless through the mass media, The Lost Record is bound for inevitable obscurity, but—with its timeless tunes, poignant message, and innovative sound—rediscovery and immortal status is equally assured! 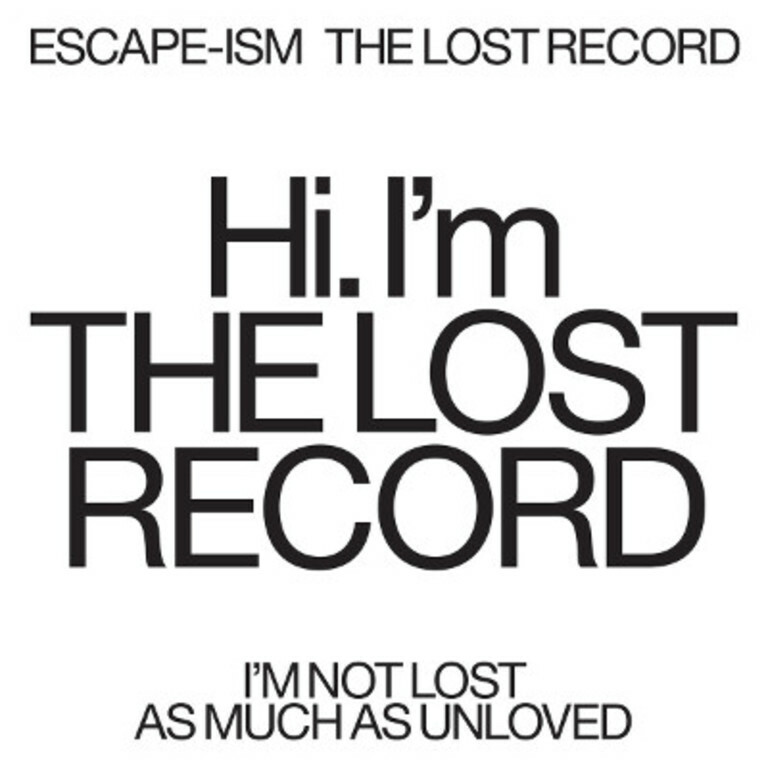 The Lost Record, being what it is, has enormous selling potential. Music enthusiasts will be thrilled to be the ones clever and kind enough to have rescued this platter from oblivion.